Joint Apparel Association Forum, the brand owner of Sri Lanka Apparel represents business interest for over seven professional industry bodies. These industry bodies comprise manufacturers of apparel, accessory manufacturers, manufacturers of textiles & garments and many other related to the industry of apparel. “Choose Your Sourcing Partner” welcomes the discerning buyers who are seeking a total solution for their apparel needs. Buyers can source from top quality high-end manufacturing facilities through these industry bodies.Below is a list of our members and an introduction to what they manufacture. Buyers can choose sourcing partners from JAAF’s membership. The Fabric and Apparel Accessory Manufacturers Association (FAAMA) consists of member organizations of ‘local’ manufacturers of fabric and garment accessories. Mainly FAAMA manufactures accessories such as buttons, elastic, hangers, interlining, lace, labels, molded bra cups and underwire, packaging materials, threads, zippers and fabric. The members of the Sri Lanka Apparel Sourcing Association offers many international prestigious brand names and are responsible for the generation of large volumes of Sri Lanka’s exports of Textiles and Apparels. 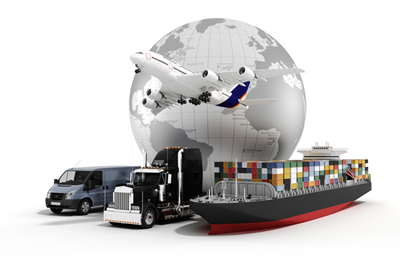 SLASA represents many of major global importers and retailers from the USA, EU, Australia & Japan. SLASA brings together compatible parties for mutual benefits by customizing according to the clients need. Support activities such as procurement, technological inputs, infra structure assistance and human resource development are provided by the Buying Houses. SLASA has members on accessories, fabric, washing, testing and many other related products and services. The Free Trade Zone Manufacturers’ Association was founded in 1981 three years after the largest and first FREE TRADE ZONE was established in Katunayake. This apex body holds members who are garment manufacturers in the Free Trade Zones. Sri Lanka Apparel exporters Association was inaugurated in 1982. The combined export earnings of the members of the Association account for 70% of the value of total apparel export earnings of the country. Columbia Sportswear, Gap Inc, M & S, Tesco, UK Post and many more constitutes its client base. The product range of members of SLAEA is vast and distinct. Buyers can choose from a full list of product categories starting from ladies’ wear, girls wear, men’s wear, children’s wear, night wear, under garments, sportswear and much more. 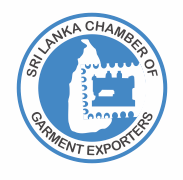 Sri Lanka Chamber of Garment Exporters acts as the representative body of the small and medium apparel manufacturers in Sri Lanka. The membership of SLCGE, manufactures garments mainly for export. Not only it manufactures ladies wear, men’s wear, children’s wear, intimates, underwear etc, but also manufactures accessories, embroidery and etc. Rebranded and Incorporated as the “Sri Lanka Apparel Brands Association (SLABA)”, the foundations of this association lay in the Domestic Garment Manufacturers Association (DGMA). SLABA represents domestic garment manufactures. SLABA is the ideal association which represents the domestic manufactures and its members include strong local brands such as Avirate, Arugam Bay, Emerald and more. The logistics and freight forwarding companies that have partnered with JAAF focus on maximizing the benefits for the logistics & freight forwarding activities of apparel industry by leveraging the maximum the potential of Sri Lanka’s strategic geographical location.